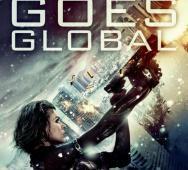 Gaze upon the new San Diego Comic Con Resident Evil Retribution poster. With “global” being the focus for this installment into the Resident Evil franchise. We see Alice once again guns blazing with the global factor boldly displayed in the background. I have high hopes for this film even though it seems as so it may be totally out there crazy. Sam Raimi‘s The Possession now has a new poster that has just been released. The image is from the best image in the trailer with more special effects. Just in time to possess Comic Con. Based on a the true story of ancient evil haunting a family. 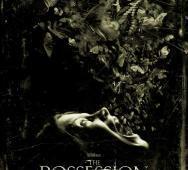 The Possession will hit theaters everywhere this upcoming August 31, 2012 and I am psyched to watch this horror movie. Fans of the Hatchet franchise sit tight and look at this new teaser poster. Now that is definitely a face that only a mother can like. The teaser poster is screaming that this installment means business and the scary visage only confirms that they are bringing even more hurt. H.R. Braxtan‘s Chemical Peel is showing much promise and tears you away from the normal big budget horror movies. The film is currently being promoted as a cross between The Cabin and The Mist. The cast is going to be an all female cast. 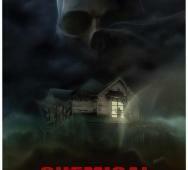 Chemical Peel will be coming out sometime this upcoming Halloween 2012 so look out for more details. Guillermo Del Toro Pacific Rim sure has some giant fighting robots. The poster reveals the robots may be the biggest I have seen in a while and very well may be the largest in non-anime movies. They make the transformers look like play things. 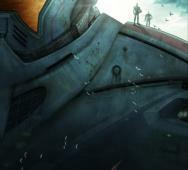 The giant robots, Jaegers, were created to fight the Kaiju, monstrous creatures from the sea. 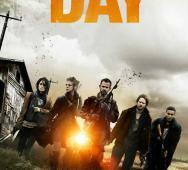 Anchor Bay‘s The Day will be coming to theaters this upcoming August 29, 2012. 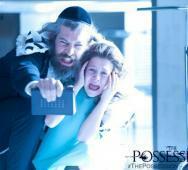 WWE Studios will be under taking this horror film. Featuring some stars you already know like Shawn Ashmore (Frozen, Mother’s Day, X-Men), Ashley Bell (The Last Exorcism), Michael Eklund (The Divide), Cory Hardrict (Gran Torino, Battle: Los Angeles), Dominic Monaghan (ABC’s “Lost”, Lord of the Rings Trilogy) and Shannyn Sossamon (One Missed Call, A Knight’s Tale). Let’s see where “The Day” takes us. The Wrong Turn 5: Bloodbath shows the classic deranged killers hunting their prey in the new official poster. The Wrong Turn franchise has taken a turn in the wrong direction but all may be set back right in this installment. Scheduled to be released later this year to DVD and Blu-ray, let’s keep our fingers crossed for a better return. Smiley is set to be released this upcoming October 11, 2012. 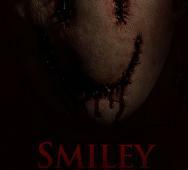 Smiley is looking to be pretty good from the horror movie trailer. Also, we now have the official movie poster for Smiley. The image of Smiley with a blood dripping smile on what can only be human skin mask with eyes poked out. Smiley is looking like it will be a gory movie and hopefully it delivers on more movie points then gore alone. Michael Gallagher, director of Smiley, also has some things to say about his demented character, all after the jump. 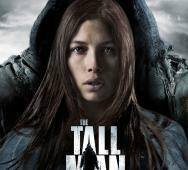 Pascal Laugier’s (Martyrs) The Tall Man now has an official poster out. Image Entertainment will be releasing the horror film into limited theaters starting August 31, 2012. Set to star in the Pascal Laugier directed scary movie are Jessica Biel, Jodelle Ferland, Stephen McHattie, William B. Davis and Samantha Ferris. I love Jessica Biel so I will be watching this one. The Possession is scheduled to hit theaters this upcoming August 31, 2012 and I am stoked. In the past most demon possession movies have been a little “not so good” but I think this one may make up for it. Ole Bornedal directs and Jeffrey Dean Morgan, Kyra Sedgwick, Madison Davenport and Natasha Calis stars. Zack Parker‘s upcoming horror movie Proxy has been getting some press due to the great casting so far. Proxy stars Kristina Klebe (Rob Zombie’s HALLOWEEN, PETER AND VANDY, Adam Green’s segment of CHILLERAMA), Joe Swanberg (V/H/S, YOU’RE NEXT, A HORRIBLE WAY TO DIE), Alexia Rasmussen (OUR IDIOT BROTHER, THE COMEDY), & Alexa Havins (TORCHWOOD, 27 DRESSES, WHEN IN ROME). Now they release their official teaser poster that is both simply a fetus but at the same time scary because the subject is a fetus. 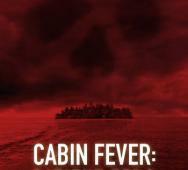 Kaare Andrews’ upcoming Cabin Fever: Patient Zero has begun casting up with Sean Astin (The Lord of the Rings), Brando Eaton (The Secret Life of the American Teenager) and Ben Hollingsworth (The Joneses). 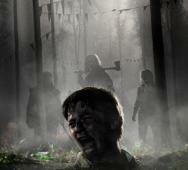 Fans of the skin virus gory horror movie will begin filming this August 13, 2012 in the Dominican Republic. Lionsgate is rebooting the Judge Dredd franchise this upcoming September 21, 2012. 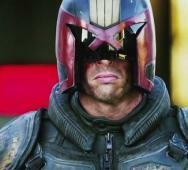 No more Sylvester Stallone as popular comic book hero Judge Dredd, instead Karl Urban is taking that role. Similar to Raid, Judge Dredd must take down a drug kingpin who is on the top floor of a huge building. The Judge must go floor by floor killing everyone in his path. Drug kingpin played by Lena Headey and Judge Dredd partner in training or something like that played by Olivia Thirlby. Karl Urban delivers a captivating performance from the trailer and pulses with intimidation. Check out the trailer below to watch Judge Dredd so far done right. 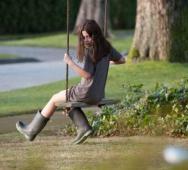 The Possession is a highly anticipated upcoming horror movie for August 31, 2012. I love this photo. The possessed girl is staring right through you with that awesome menacing look. You can see an evil intent behind these eyes that just sets the right tone for The Possession being the horror movie you need to see. Predestination stars Ethan Hawk and is scheduled to begin production early 2013. Early artwork shows lots of clocks and thus drawing back to the movies theme. I already have my suspicions about the plot. 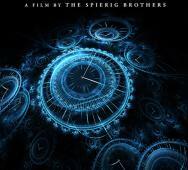 The name of the upcoming movie is Predestination and the agent has been sent on missions to ensure that he remains an agent. The final mission is the agent must recruit his younger self. All this while tracking down an enemy who he has tried to capture numerous times. Seems he is his own worst enemy. Better have crazy double meaning missions in order to hold the attention of the audience. House at the End of the Street is looking to be a great horror movie coming this September 21, 2012. They have just released a huge 10 photo movie still gallery giving us some pics as the relationship begins to form between the two. The horror film is directed by Mark Tonderai. The movie stars Elisabeth Shue, Jennifer Lawrence, Max Thieriot and Gil Bellows. Definitely an upcoming movie you should keep on your radar. 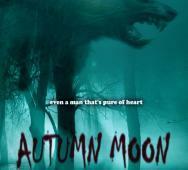 Autumn Moon is a new werewolf movie on the upcoming movie list. The teaser poster tagline “even a man that’s pure of heart” leaves a little to be imagined. The werewolf looks a little rough around the edges and hopefully that shows on screen in some savage kill scenes. Currently the horror film is in pre-production with Randy Fabert set to direct and star. Set to star in Autumn Moon is Joe Kidd, Randy Fabert, Nathan Grauwelman, Iabou Windimere, Jocelyn Tanis, Richard Aughpin, Larry Combs, Gerri Sutyak, Sonny Burnette and Michael Peake. 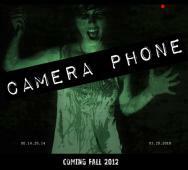 Camera Phone is the latest found footage horror movie coming soon in 2012. What makes this one different is that all the footage is recorded on camera phones from a group of individuals. If I am being plagued by supernatural entities, I will not be holding a camera phone so expect no camera footage from me. Anyway, let’s see what Camera Phone has to offer. From the trailer, we see somebody contortions, although meager at best. The poster looks okay but a little funny, in my opinion, I couldn’t help but chuckle every time I saw it. Tell me what you think about this upcoming horror film and let’s see what real horror fans think. V/H/S seems like a kind of Creepshow where we are viewing the horror movies within the horror movie. V/H/S seems fresh in a sense though. Some local bad guys must break into a house and retrieve rare found footage from the house. Upon entering the house, they find a lifeless body surrounded by a huge assortment of VHS tapes. They begin watching the videos looking for the right one. On Thursday June 14th SONY is launching the trailer for Resident Evil Retribution along with a live stream event with Milla Jovovich. The live stream will be on NowLive.com. Milla’s live event will be starting Thursday June 14th at 8am PT / 11am ET. I am looking forward to the inside scoop direct from Milla Jovovich, I mean really, she is my #1 pick for this live event. Don’t forget to tune in for what will be a great event.